Laparoscopy for the most part is physiologically beneficial for the patient, especially with regard to pulmonary function, but the benefits occur in the post-operative period (1-4). During the procedure itself, laparoscopy is physiologically more stressful on the patient than open surgery. Pronounced positional issues, increased intra-abdominal pressure, and the sequelae of absorbed CO2 combine to create unfamiliar physiologic effects. 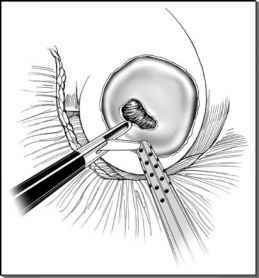 Fortunately, most patients tolerate the physiologic insult of laparoscopy well. On occasion, either in a patient with significant cardiovascular compromise or owing to unusual response, significant and potentially life-threatening complications that have little to do with the inherent steps of the particular surgical procedure but instead result from physiologic reactions to the laparoscopic environment can occur. In a survey of outcomes of laparoscopic cholecystectomy, one-half of the mortality was due to physiologic rather than surgical events (5). A prepared surgeon can avoid these complications, or at least manage them appropriately if they do occur. The intraperitoneal approach to radical prostatectomy and other laparoscopic pelvic surgeries is facilitated by a head-down tilt (Trendelenburg) position, which tends to modestly increase cardiac output. Most, but not all, studies suggest that this position restricts diaphragmatic movement and increases ventilation-perfusion mismatch during laparoscopy.